Netizens are not happy with the comment Yoon Kyunsang made on his post about Sewol Ferry Disaster. 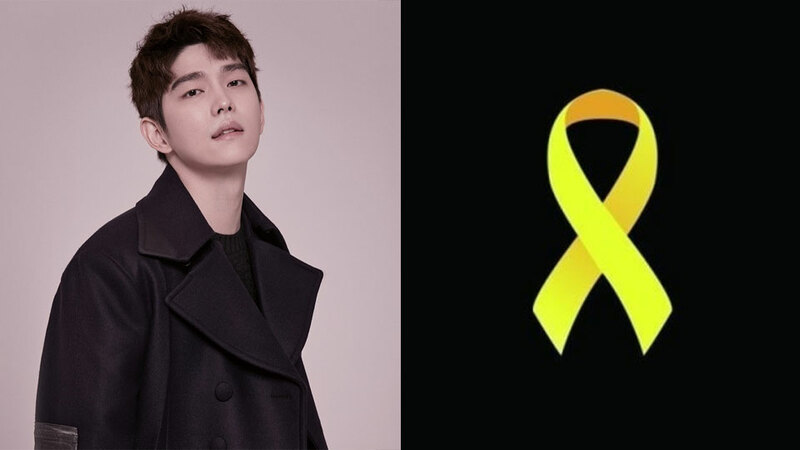 On April 16th, Yoon Kyunsang took to his Instagram and posted a photo of the Yellow ribbon, just like the other celebrities. What's different about his post is the comment he made about the accident. Along with the photo, Yoon Kyunsang wrote, "#416 #IWillNotForget. The yellow ribbon is not about the politics. It's better to see the truth by yourself." The actor also wrote, "There a lot of tragedies happened. There is no death without grieving. Let us not choose one tragedy as one that is more important than the other else." Shortly after the photo was uploaded online, not few of Netizens criticized the actor, questioning whether he really needs to say such words on this sad day. On the other hand, fans also defend him saying that noting's wrong about his words and everyone has right to express what on his/her mind. What do you think about the issue, ladies and gentlemen?